Audi recently teased its upcoming electric SUV, the Audi e-tron Quattro, doing some testing in the Swedish Lapland, under the stunning Northern Lights. It was one helluva promotional video, if you ask us. Now, though, we get to see the e-tron Quattro testing yet again, except this time on tarmac rather than snow. In this new spy video from Automotive Mike, we get to see the Audi e-tron Quattro hitting the famed Nurburgring. So clearly, Audi expects its first all-electric car to handle. At the ‘Ring, we get to see the Audi e-tron Quattro hit some pretty serious speeds and it looks quite capable. The Nurburgring is no joke, as it’s probably the most difficult race track in the world, so the fact that this all-electric SUV can take it on is impressive. Coming out of corners, the e-tron Quattro seems squat and flat, with minimal body roll despite coming out of those corners very quickly. Also, thanks to its all-electric torque, it rockets out of those corners quite rapidly. So we’re excited to drive this electric beast to see what it can actually do, because it seems promising. Although, there is one thing missing — noise. Being entirely electric, the Audi e-tron Quattro is eerily silent as it decimates corners at the ‘Ring. While that’s not normally a bad thing, and we didn’t mind the lack of noise at first, the presence of some sort of performance-oriented BMW X5 tailing the e-tron Quattro made us yearn for some angry noise from the Audi. 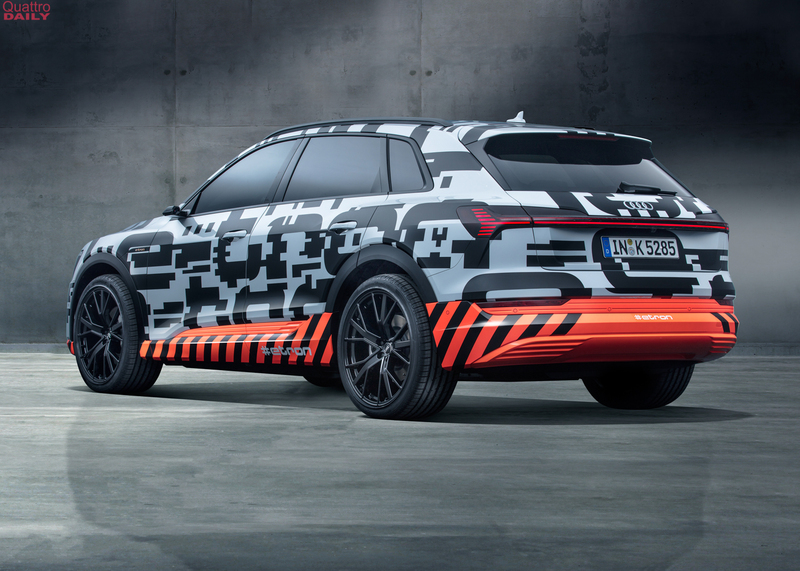 First, you see the e-tron Quattro whiz by with nothing but the sound of tires struggling to maintain grip. Then, trailing behind it, is a V8-powered BMW X5 that makes a muscular, angry noise. For a moment, we can imagine the e-tron Quattro making that noise and it’s a nice thought. Having said that, this Audi e-tron Quattro looks a lot like the upcoming Audi Q8, so we can expect a high-performance variant of that car to fulfill our angry SUV noise desires. 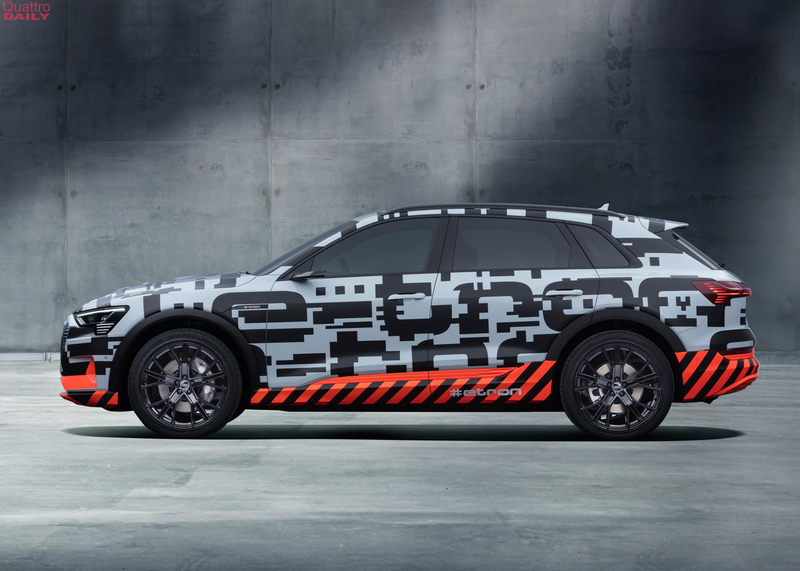 This e-tron Quattro will be the all-electric, high-tech, version and we can’t wait to drive it.